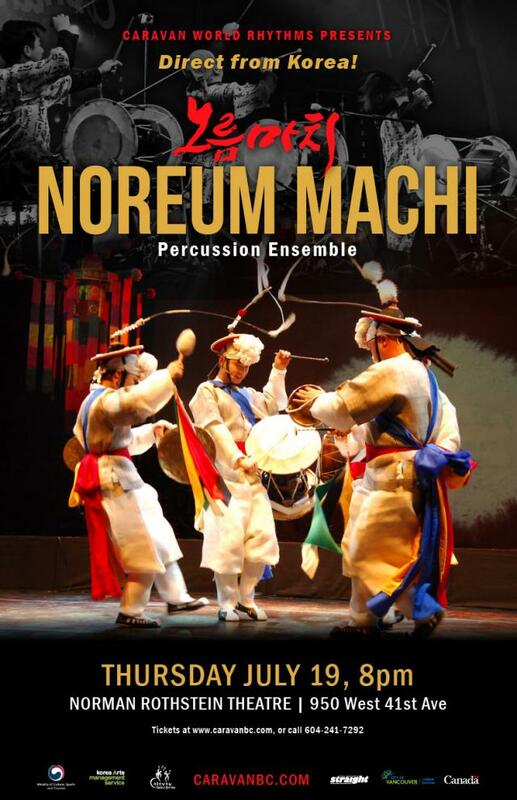 Noreum Machi specializes in the virtuosic percussion music known as Samul-nori. 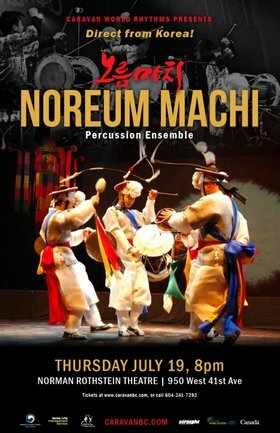 This exciting music, first introduced to the West in the late 1970s by the legendary ensemble, Samul-nori is a modernized-staged adaptation of the ancient Pungmul-nori, famers’ ritual that had its origin in shamanism and animism. Samul-nori (Samul means “four objects” and Nori means “play”) is performed primarily with four traditional instruments; Jang-gu, Buk, Jing, and Kkwaenggwari. Other instruments used are the Taepyongso and Piri. Each of the four main instruments represents different elements of nature: the Jang-gu represents Rain; the Buk, Clouds; the Jing, Wind; and the Kkwaenggwari, Thunder Storm. Yin and Yang is also reflected: the Buk and the Jang-gu represent the sound of the earth, while the Jing and the Kkwaenggwari represent the sound of the heaven.